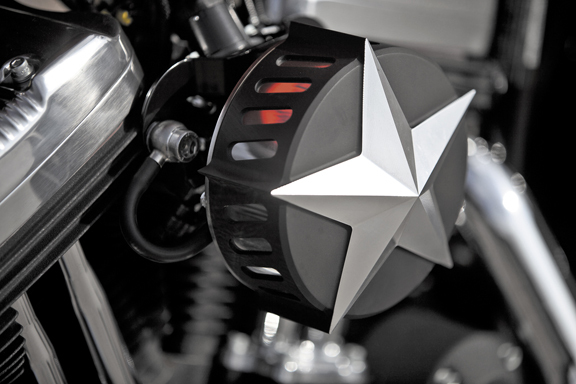 Open Mind Motorcycle Air Cleaner Cover’s are direct bolt-on replacements for the stock Harley air filter’s. 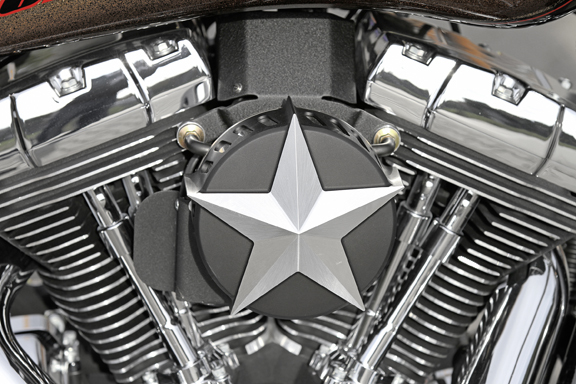 Different versions are available to fit Twin Cam engines (carburator and EFI), 2008-up Harley-Davidson touring models, Evolution engines with OEM CV carburator, 2007-up Sportsters with EFI. 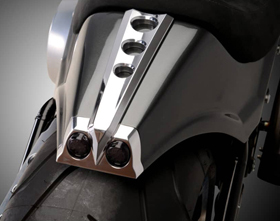 These black motorcycle air cleaner covers feature a unique design which will look great on old school choppers and bobbers. 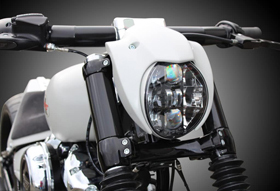 Kit includes bracket and mounting kit. 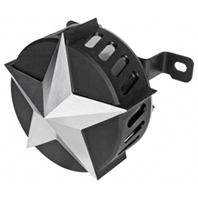 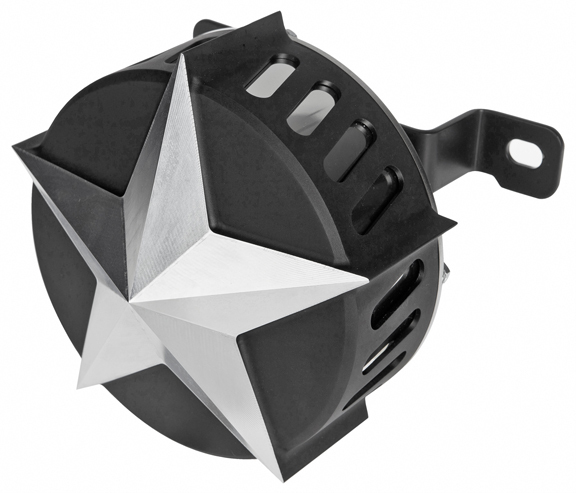 Black anodized finish with CNC machined star for a cool contrast.